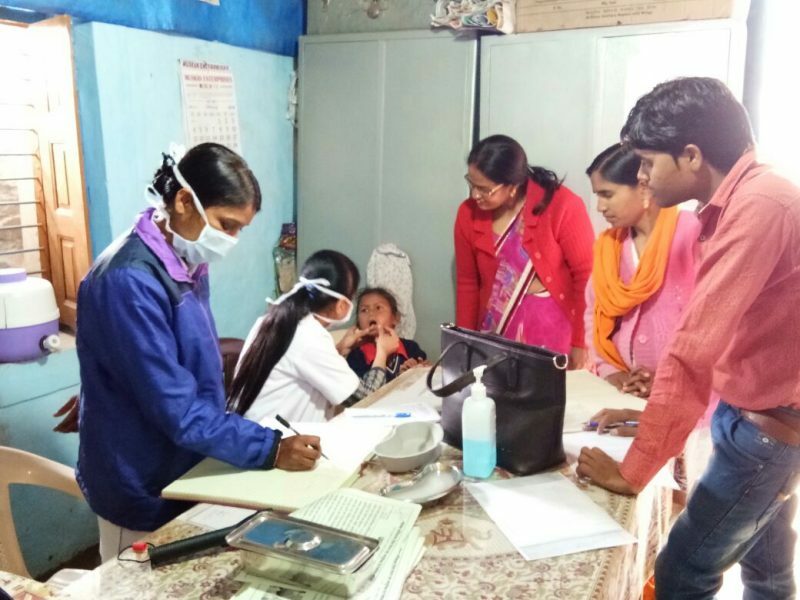 A dental check-up camp was organized on Feb 6th, 2018 at Hunar Ghar. A team of two dentists performed a check on 400 students including the pre-school Balwadi kids. The check-up was followed by a session on importance of maintaining good oral hygiene and the best practices to follow. The Balwadi kids and their teachers were applauded for the good oral health of the children. Balwadi is the pre-school section at Hunar Ghar and children as young as 2 year old are enrolled in the class. Balwadi teachers pay special attention to develop early language and cognitive skills as well as best hygiene practices in young children. The kids clean their teeth daily at the school under the supervision of their class teachers. The dentists also educated children by taking a session on importance of oral hygiene. In rural communities like Bakhel, tobacco chewing is quite prevalent and hence instances of oral cancer are higher too. With timely intervention and necessary guidance the youth can be saved from severe illnesses. The health team at school follows-up with children for whom caution has been advised.